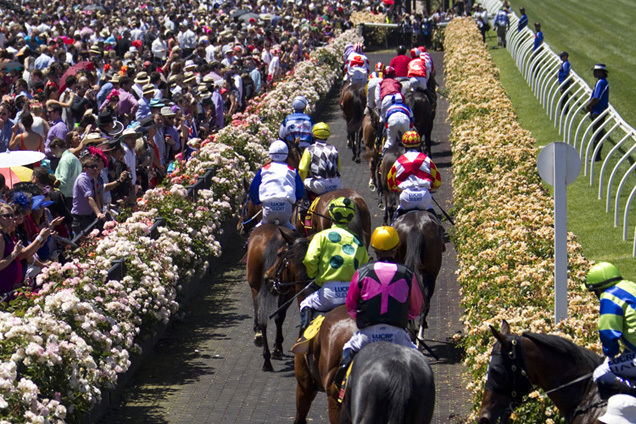 It’s an open betting race in the 2018 Red Roses Stakes at Flemington on Thursday. Bleu Roche comes off a strong run against better horses and is $5.50 in the 2018 Red Roses Stakes (1100m) at Flemington on Thursday. *All others quoted at $12 or greater in full market. WHEN IS THE 2018 RED ROSES STAKES? Race Synopsis: In a close finish where the first ten horses finished within two lengths, the Matt Laurie-trained filly Bleu Roche advanced from winning a maiden (1000m) at Sale on September 9 to take out this Group 3 race. With one exception (Al Naifa), the field raced on the Grandstand side with Bleu Roche settling close to the leaders in fourth place. She took the lead at the 200m and then fought off challengers to score a narrow but very good win. Causeway Girl raced in seventh place, not far off the leaders, moved up at the 200m and then finished well for second, beaten a shorthead. Meryl raced close to the lead most of the way and kept fighting gamely for a close-up third. South Australian-trained filly Schilldora came from tenth for a very close fourth while Godolphin-raced filly Multaja caught the eye, coming from near last for a fast finishing (0.4 lengths) fifth. Racing and Sports highlight our standout plays at Australian TAB meetings for April 22.